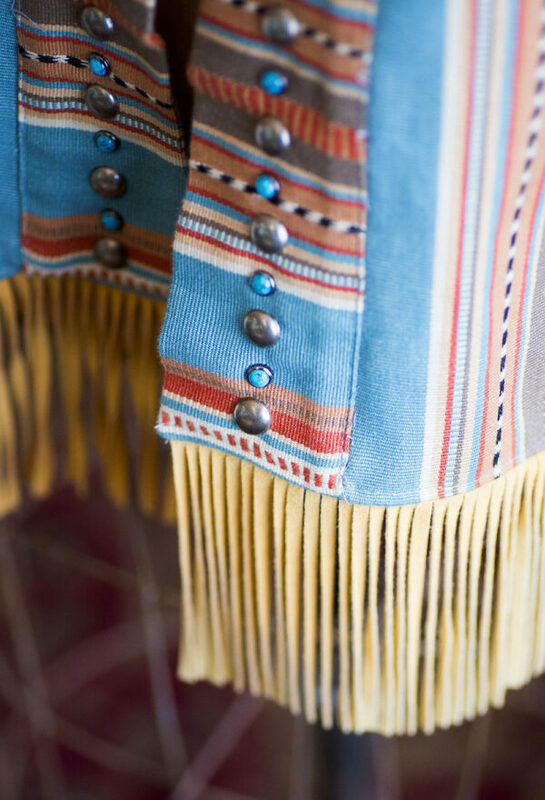 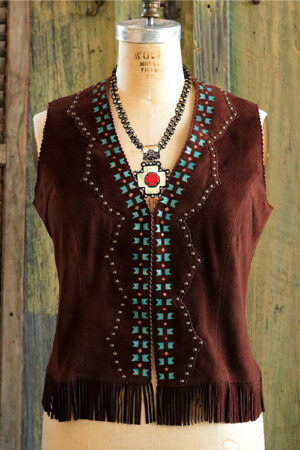 Poncho Vest in cotton Serape with suede fringe. 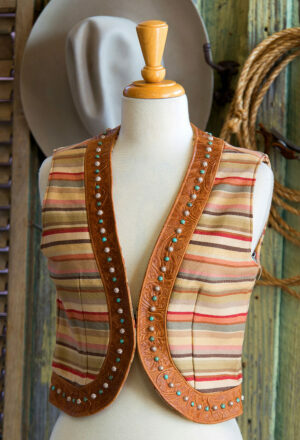 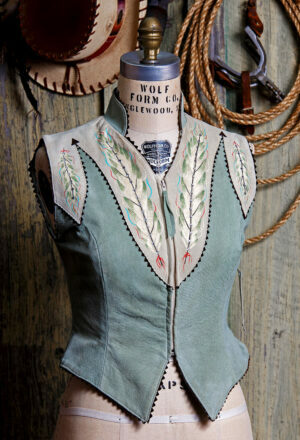 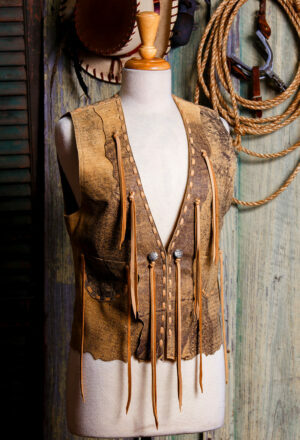 Finished with turquoise colored stones and antiqued studs on the front facings and pockets. 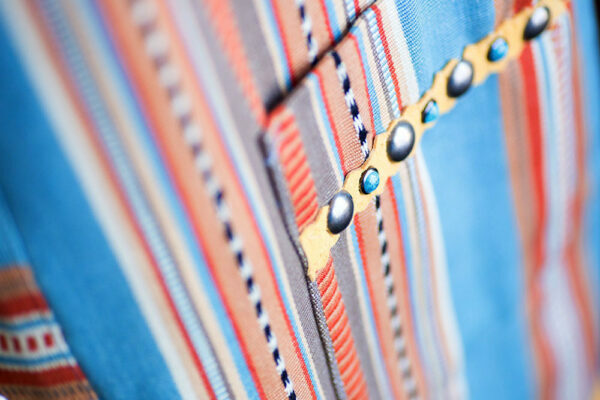 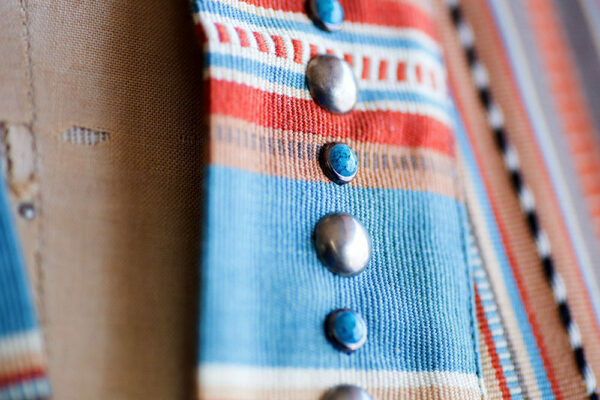 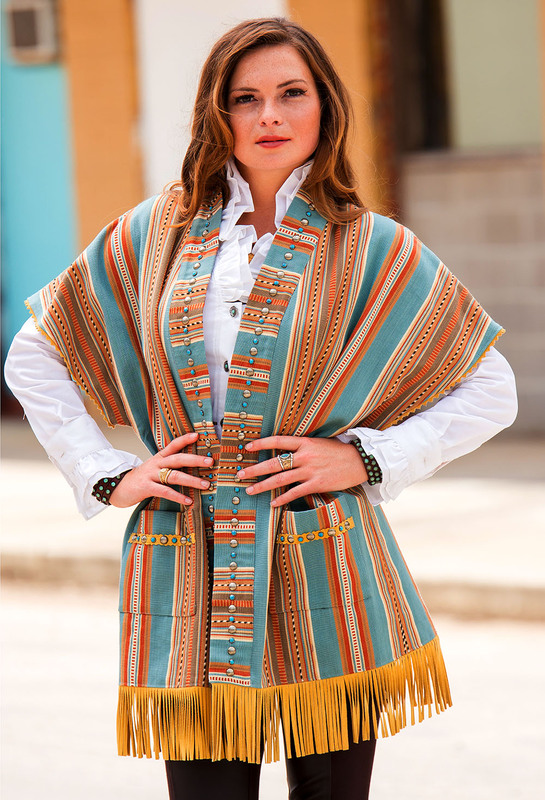 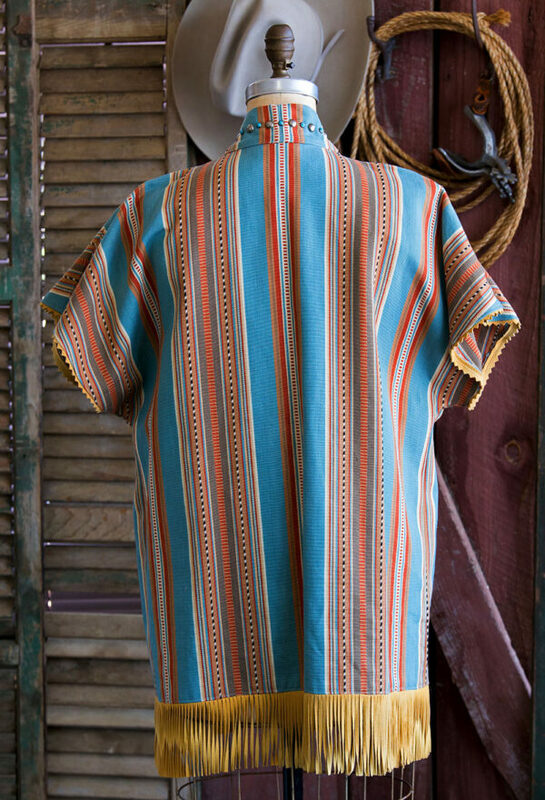 Shown in Turquoise Serape.